More often than not when people say "Los Angeles" they are referring to the entire Greater Los Angeles area, which is enormous (L.A. County alone covers 4,751 square miles). It would be a mistake to lump every city, suburb, district, and neighborhood into one amorphous blob as if to suggest the whole region is an undifferentiated mass of people, cars, and concrete. Surely, distinctions can be made. 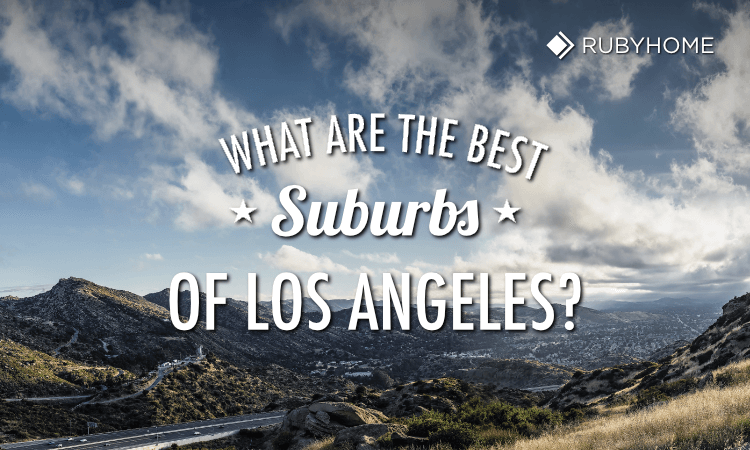 From this Realtor's point of view, it's not hard to whittle down the region and identify the best suburbs of Los Angeles. Simply stated, the best combine two key ingredients: the character of the suburb and its amenities. One of the most obvious, in-plain-sight characteristics of a great suburb is its residential architecture. Housing developments and subdivisions reflect the architectural tastes and styles of the period in which the homes there were built. The majority of houses in L.A. County were constructed from the late 19th century to present day. Architecturally, there's an historical timeline; you’ll see Victorian-era homes in the oldest neighborhoods, followed by Arts & Crafts (Craftsman), Period Revival, Mid Century Modern and then Contemporary architectural styles. Homes in the best suburbs be well-preserved and maintained. Older, rehabbed properties should not stray from their original design principles. Sadly, sometmes I'll see Modern house re-roofed with Spanish tiles. Combining these disparate architectural styles creates a rather unpleasant look. The best suburbs in Los Angeles tend to have city ordinances aimed at protecting the natural environment. Some rules are simple - albeit sometimes burdensome to property owners - like the one protecting the trees in Beverly Hills. Some cities, like Santa Monica, have a fully developed and executed sustainability plan that addresses broader environmental concerns for today and future generations. L.A. suburb, San Marino, has aggressive rules that regulate the way homes site on their lots (housing setbacks) as well landscaping requirements. Conversely, there's Topanga Canyon, where the natural environs are decidedly still wild. At a minimum, you should expect well-maintained public infrastructure and aggressive approaches to solving small issues like fixing potholes, street sweeping, and maintaining major systems (e.g., water reclamation and treatment). Los Angeles’ best suburbs are close to mountains or beaches, or both, as is the case for Malibu. Access to hiking trails, beaches, surfing, and city parks is a big plus for people who crave an active lifestyle. In fact, open spaces and neighborhood parks are quite common. The County of Los Angeles Department of Parks and Recreation is responsible for 182 parks alone. Then, if you layer all the municipal parks (at least a couple dozen per suburb) on top of that, you’ll finally get a good measure of the recreation and leisure opportunities. 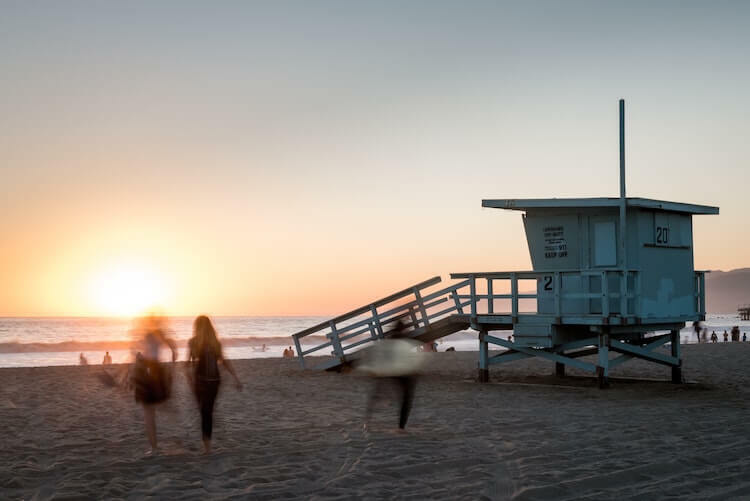 When you’re not outside enjoying the sunny Southern California weather, if you live in one of the best Los Angeles suburbs, you’ll be eating at killer restaurants or visiting cultural venues like museums, playhouses, or concert halls. 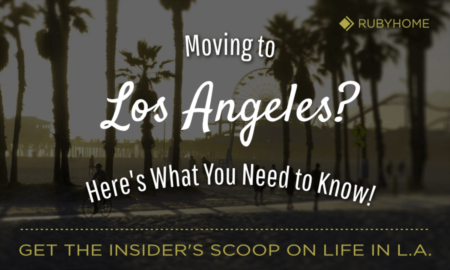 What follows is a collection of cities near Los Angeles (or in some instances, surrounded by L.A. as is the case for Beverly Hills and Culver City) that each stands out as a Best L.A. suburb based on the criteria above. 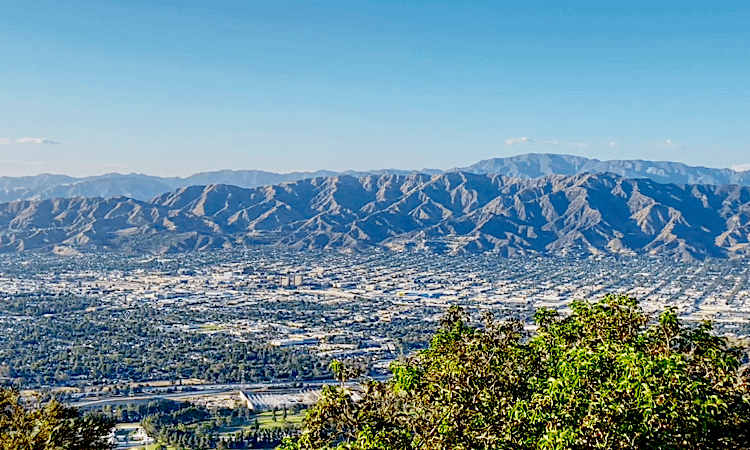 Altadena is nestled in the highland area of The Verdugos region. 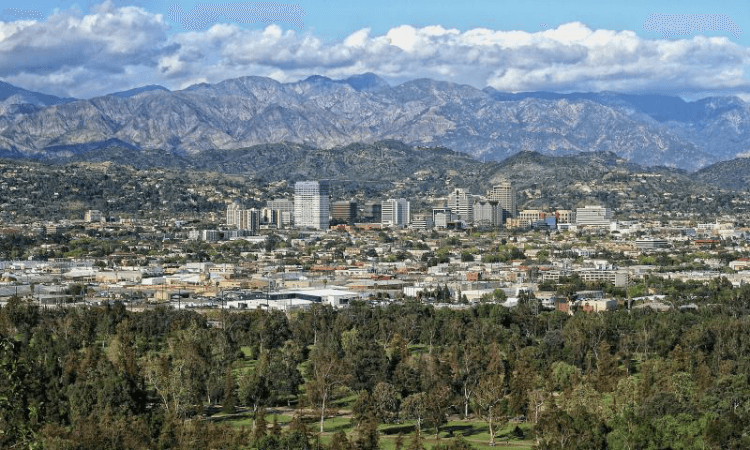 It is a bucolic, laid-back suburb resting on the foothills of the San Gabriel Mountains that border Pasadena and Upper Arroyo. 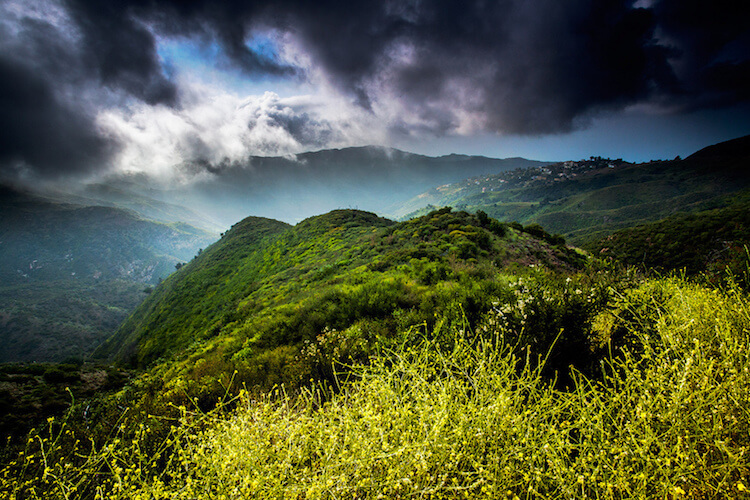 Outdoor enthusiasts love living close to the rugged and steep hiking trails in Eaton Canyon. 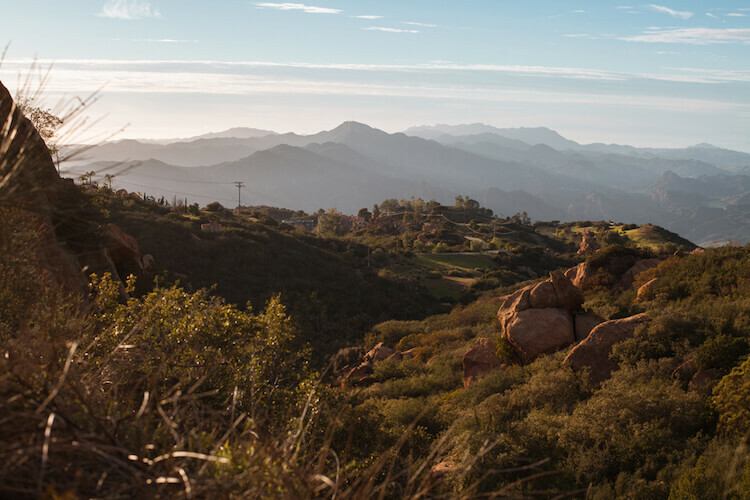 One can hardly find more captivating views in Southern California than the vistas earned by trekking all the way to Mt. Wilson Observatory. In the late 19th century, wealthy industrialists like Andrew McNally, William Kellogg, and William Scripps build large homes along Mariposa Street. The collection of mansions earned the nickname Millionaire's Row. Wealthy families started hunting and hiking clubs and even the "Hill Climb," a four-mile, white-knuckle automobile race up the winding canyon roads. One could say, Altadena has a history of attracting residents who like to get outside enjoying nature. Luxury homes in the styles of Period Revival and Mid-Century dot the neighborhoods of this L.A. suburb. Grand estates with acreage are also available. Click here to search homes for sale in Altadena. The next Los Angeles suburb, Beverly Hills, needs no introduction. Surely you know of it. And you probably know it's most famous street, Rodeo Drive. 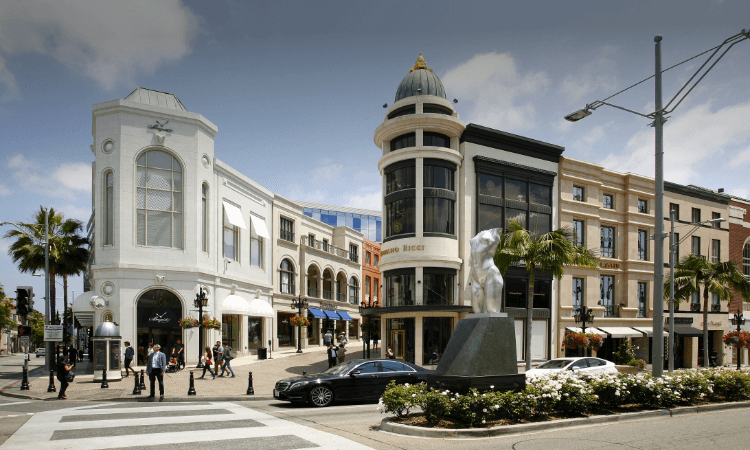 But did you know that Rodeo Drive, with its high-end boutiques and restaurants, is just a small part of the downtown area known as the Golden Triangle, a busy downtown shopping district? The residential neighborhoods surrounding downtown, particularly between Olympic Boulevard and Wilshire Boulevard, contain charming one and two-story single-family homes. These neighborhoods make living in Beverly Hills much like any other small, affluent city. North, across Santa Monica Boulevard into The Flats neighborhood, the lot sizes are bigger and accommodate larger luxury homes, many with spacious yards and well-manicured landscaping. This is where homes start getting more opulent. Home prices climb, along with the elevation, as one presses further north into the foothills, canyons, and ridges of the Santa Monica Mountains. 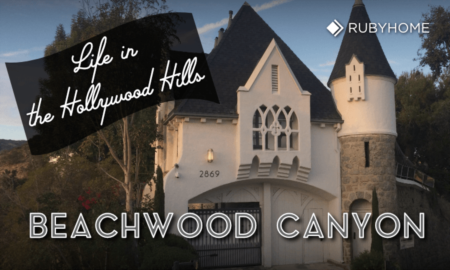 Home shoppers will want to check out Benedict Canyon, Beverly Glen, and Trousdale Estates. Within into these top areas of town, you will also find the gated communities of Beverly Park, Mulholland Estates, and The Summit. Click here to search homes for sale in Beverly Hills. Burbank came into its own as a modern, burgeoning city during WWII when it served as headquarters for Lockheed Aircraft Corporation and several other defense contractors. Did you know Norma Jeane Dougherty worked on the assembly line at a Radioplane factory as a part of the war effort? Did you know she was spotted by an Army photographer, which led to a screen test, that led her to change her name Marilyn Monroe? Postwar home construction soared to meet rising demand for single-family homes generated by returning servicemembers who decided that the Los Angeles area was a pretty decent place to settle down. After all, who doesn’t like year-round sunshine and the forward-looking optimism of the West? Airplane hangars and manufacturing warehouses form the war effort were converted into motion picture studios in the late 1940s and 50s. Today Burbank is a major media hub and home to The Walt Disney Company, ABC Television, and Nickelodeon Animation Studio, to name a few. The Hollywood Burbank Airport (BUR) is quite convenient. The airport has much less traffic congestion and shorter security lines than Los Angeles International Airport (LAX). Plus, it's fun to board and exit planes on stairs and be greeted by open air and sunshine, as opposed to a dreary, enclosed gangway. Many Ranch and Mid-Century homes dot the Flatlands section of Burbank. Most of the Luxury homes in town are found in the Burbank Hills. Click here to search homes for sale in Burbank. Culver City sits within the City of Los Angeles and is home to the Sony Pictures Studios and several smaller studios and production houses. 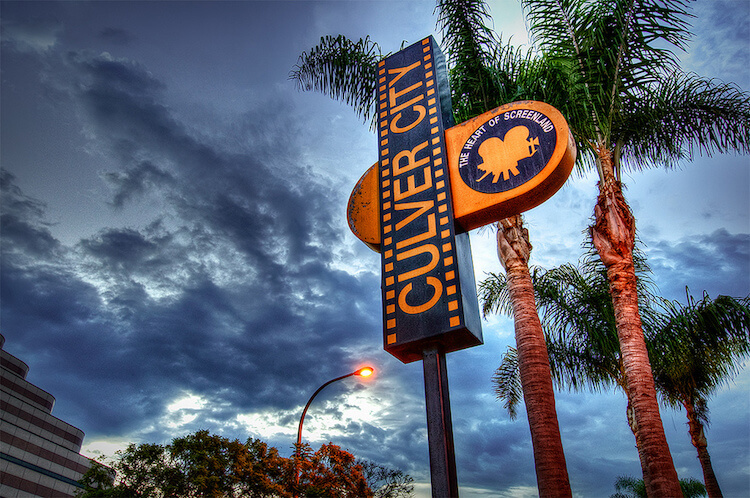 The neighborhoods of Culver City grew with the motion picture industry starting in the 1920s. It's also home to aviation history as the former headquarters of Hughes Aircraft (1932-1985). Downtown Culver City is a vibrant commercial district that stretches east-west between Washington and Culver Boulevards. The downtown area is full of restaurants, cafes, and lounges. Everything is close by; the bustling district is highly walkable. The surrounding neighborhoods are packed with charming Postwar single-family homes. Charming, one-story houses adorn tree-lined streets. If you like the idea of having a front lawn and mature shade trees, Culver City could be the ideal place for you. Plenty of condos and townhomes also dot the city. Click here to search homes for sale in Culver City. Glendale is a bedroom community of Los Angeles, just 8 miles north DTLA. This Los Angeles suburb is the third largest city in the county. It sits where the San Fernando and San Gabriel Valleys meet, which also happens to be at the intersection of the 134 and I-5, two major freeways that move millions of commuters each day. Newer high-rise condominium buildings in mixed-use residential developments represent an excellent opportunity for people looking for a scaled back, urban lifestyle. You'll find these condos right in the heart of Downtown Glendale. Single family homes surrounding the downtown commercial core are reasonably affordable, not far from the average home price in the county. As you drive north across the 134 Freeway and start climbing up the foothills of the San Gabriels, home prices begin to increase along with their lot sizes. There's enough space here for a backyard pool, which comes in pretty handy on a hot summer afternoon. Glendalians get the same convenience of living near Hollywood Burbank Airport (BUR), making it so much easier to fly to and from the region than dealing with the long lines and heavy traffic at LAX. Click here to search homes for sale in Glendale. La Cañada Flintridge is another foothills community northwest of Pasadena, next to Altadena. Its neighborhoods are either nestled along the woodsy valley floor or on the rises leading partway up the chiseled San Gabriel Mountains. As home to NASA’s Jet Propulsion Laboratory, you might say La Cañada Flintridge is full of people who look high into space for a living. Know what else is high here? Median household incomes. In fact, La Cañada Flintridge is one of the Top 20 most affluent cities in the United States (currently 17th). What’s more, La Cañada Unified School District (LCUSD) is one of the top-ranked districts in California, another factor that makes it one of best places near Los Angeles to live. 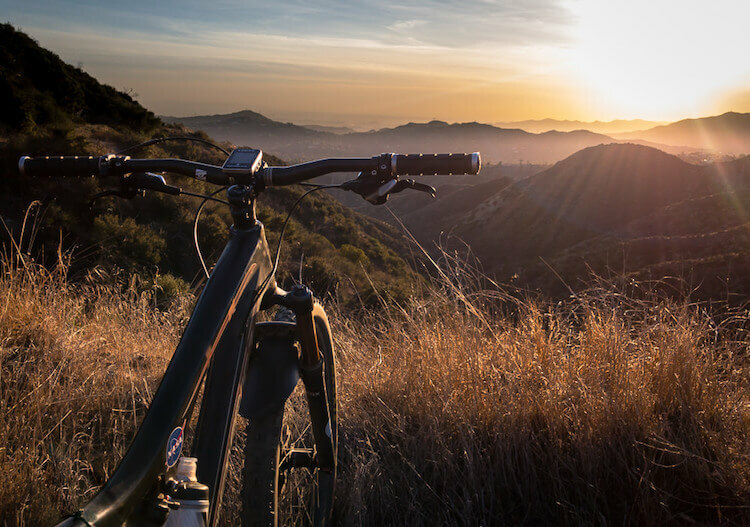 People gravitate to La Cañada Flintridge for its pleasant winters and hot summers, where outdoor activities like golf can be done year-round. If you ever find yourself pining for chilly air, you can always hop on the Angeles Crest Highway, a popular road for sightseeing and a drive to Mt. Wilson Observatory (5,710 feet) where the air is a tad thinner and colder. Click here to search homes for sale in La Cañada Flintridge. The word “Malibu” can refer to the city itself or be used as a general term for the large unincorporated area of Los Angeles County that runs 21 miles north of Topanga to Ventura County along the coast. If you see a car commercial with an automobile humming down an archetypal version of a coastal highway, ninety-nine times out of one hundred it was filmed along the Highway 1 (a.k.a. Pacific Coast Highway or PCH) in Malibu. Malibu has two main geographical features: coastal beaches and rural hills. Coastal Malibu generally has cooler weather and sometimes foggy mornings due to the influence of the very massive body of water, the Pacific Ocean. The coastline holds the highest population density; the majority of Malibu’s residents live along within a few hundred yards of it. The City of Malibu and neighborhoods like Carbon Beach and Point Dume lay within the coastal region. Several gated communities like Malibu Colony, Malibu Cove Colony, and Serra Retreat can also be found here. The Malibu Hills are further from the water, thus a little hotter. The weather in the hills is more like the nearby inland areas of Thousand Oaks or Calabasas. Here you will find larger properties, ranches, sprawling fields, and canyons. There's plenty of space for horses. And solitude! Click here to search homes for sale in Malibu. No doubt, Pasadena is most closely associated with the Tournament of Roses, accompanying parade and widely televised football game on New Year’s Day. But, before all the notoriety as a sunny location for big college football games (and an occasional Super Bowl), Pasadena was a resort town. After early development in the mid 19th Century, the city was promoted by the marketing and public relations divisions of railroads to encourage ridership. Well-heeled Easterners lured by the promise of a more hospitable climate fell in love it, eventually making Pasadena their winter home. Their migration fueled the city’s early growth phase from 1880 to 1929. Yep, it’s hotter in the summer, colder in the winter, and the air is always drier than Los Angeles’. Pasadenans have the option to stay entertained without ever leaving the city limits. There is a plethora of museums as well as entertainment and shopping venues. The local live theatre scene is always robust. In fact, Pasadena is proving ground for many actors who go on to work in film and television. The food scene here is top notch and eclectic. In fact, Pasadena’s high quality of life has lured many notable chefs to the city who’ve opened restaurants. Home shoppers can find residences in-line with average L.A. County prices and much, much higher. The housing stock in Pasadena ranges from bungalows to large estates. Smaller Craftsman homes are plentiful as well as Postwar architectural styles like Ranch and Mid Century Modern built during another growth spurt in the 1950s and 60s. 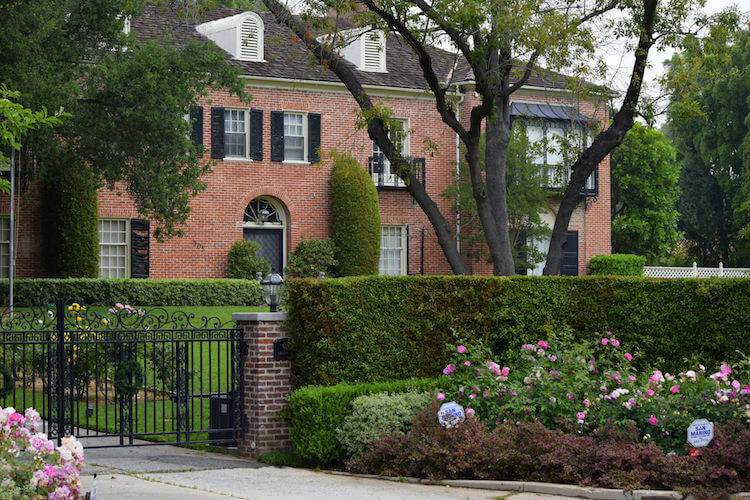 Large estates and mansions can be found Pasadena neighborhoods like Oak Knoll, South Arroyo, and North Arroyo. 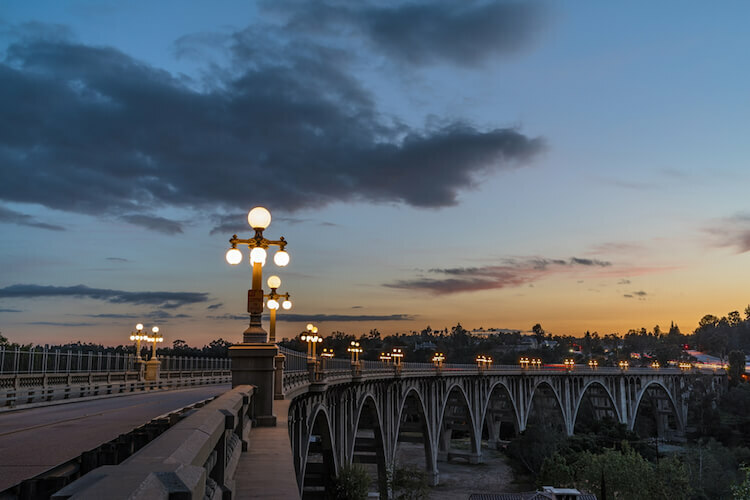 Click here to search homes for sale in Pasadena. Driving through San Marino neighborhoods is like driving through an issue of Architecture Magazine. Under the tree canopies of the city’s winding streets, one can catch glimpses of exquisite luxury homes and estates. Homes are set back from the street (by law), creating expansive front yards. If you love landscape architecture, San Marino will bring you sheer joy as you admire the well-manicured grounds, flowers, and rockwork. The housing stock in San Marino is exclusively single family homes. There are no apartments, condominiums, or townhomes. Fast food and drive-thru restaurants are verboten. The only chain businesses here are Starbucks and a few bank branches. The City Council keeps a tight lid on development in San Marino to preserve its character and charm. Click here to search homes for sale in San Marino. Living in Santa Monica is ideal for people who prefer less daytime heat, less smog, and more good vibes that come by living close the ocean. Steady breezes that from the Pacific Ocean keep Santa Monica cooler and cleaner than the inland areas of the L.A. Basin and nearby valleys. Santa Monica is big, modern, and more developed than nearby beach communities like Venice. The housing stock in the always-busy Downtown Santa Monica district consists primarily of high rise condos. Single family homes are found in the rest of the quieter neighborhoods that surround the downtown area like Ocean Park, Sunset Park, and North of Montana. The city owes its initial growth spurt to the days it was a beachside resort town in the early 20th century, a time when the popularity of amusement piers was at its zenith. Over the years, additional infrastructure like the Santa Monica Freeway (1966) and revitalization of the Third Street Promenade (1986) continued the city’s upward trajectory to make it one the most attractive places to live in Los Angeles County. The growth and success of the city over the decades have not been taken for granted. The city council adopted the Santa Monica Sustainability City Program in 1994 to help preserve the quality of life here and reduce the toll that a dense urban population can take on the natural environment. The city's environmental protections have paid off, Santa Monica is recognized as one the cleaning mid-sized cities in the nation. Click here to search homes for sale in Santa Monica. Between Pacific Palisades and Malibu, steep canyons cut their way through the Santa Monica Mountains from the shores of the Pacific Ocean to Woodland Hills. This wild, wooded area is Topanga. The bulk of the residential areas and businesses reside in Topanga Canyon itself. Once a getaway spot for Hollywood stars, starting in the late 1960s, it morphed into a home for artists and a hotbed of bohemian lifestyle and counterculture. The Topanga community comes together several times per year for Topanga Days Country Fair, Topanga Film Festival, and an annual reggae festival "Reggae on the Mountain." One (of many) unique aspects of Topanga are its microclimates. Heat and humidity are relative to one’s elevation and distance from the ocean. Generally, the temperature is hotter and the air drier as one travels deeper into Topanga Canyon and higher up the ridges. It is common for Lower Topanga to be foggy and cool while Upper Topanga is warm and sunny. Click here to search homes for sale in Topanga. A Los Angeles neighborhood is a district that sits entirely within the city limits, even if it is twenty miles from Downtown Los Angeles. A Los Angeles suburb can sit either outside or inside L.A.’s city limits. However, a suburb will exist as its own municipality and run its own school districts. It takes a few years of living in Los Angeles to get a complete grasp of the differences. For sure, each suburb has a distinct vibe. Some are bucolic and some a little more intense and urban. Some are very expensive and some more affordable. Some remain cool from ocean breezes, and some get rather hot, especially in the summer months. One thing is for sure: people eventually find a community they love, one that endears itself through its character and amenities.